Over the past couple of months, people have been asking me various forms of the question, “How is married life?” In response, I always tell them that marriage is great! My wife has definitely enhanced my life and I think we're off to a great start. I've only been married for 2 and half months, so I realize I'm not an expert in any sense of the word. 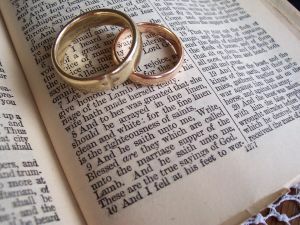 I just wanted to highlight a few of things that I think help marriages to run smoothly. Be a team – You want to function as a unit. If you're a team then there's no keeping score or competing with one another. You both just want the marriage to be healthy and successful. Be adaptable – There will inevitably be things that don't go according to plan. That's ok. If you're adaptable, those unexpected events can be opportunities for growth and learning. Be forgiving – if you come into marriage knowing that neither you nor your spouse is perfect, you should also come ready to forgive. Be proactive about extending grace to your spouse in the midst of their shortcomings and trust that you will receive the same from them. These are just a few of the ideas that I think have helped my wife and I. What are some of your marriage tips?